Across the street from the Rite Aid Shopping Center on Marsh Street. Parking behind the office. 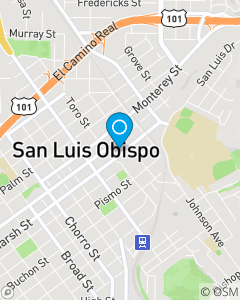 Todd ThomasState Farm Insurance Agent offers Auto Insurance San Luis Obispo, Car Insurance San Luis Obispo, Home Insurance San Luis Obispo, with friendly personal customer service 24/7. As your local State Farm office, we are committed to providing you with the best combination of price and value for your car insurance, home insurance, business insurance, and life insurance.